world-renowned devotional chant (kirtan) singer and musician, and Lama Tenzin Sangpo, Tibetan chant master, to rebuild Ka-Nying Shedrub Ling Monastery and Nagi Gompa Nunnery in Nepal. 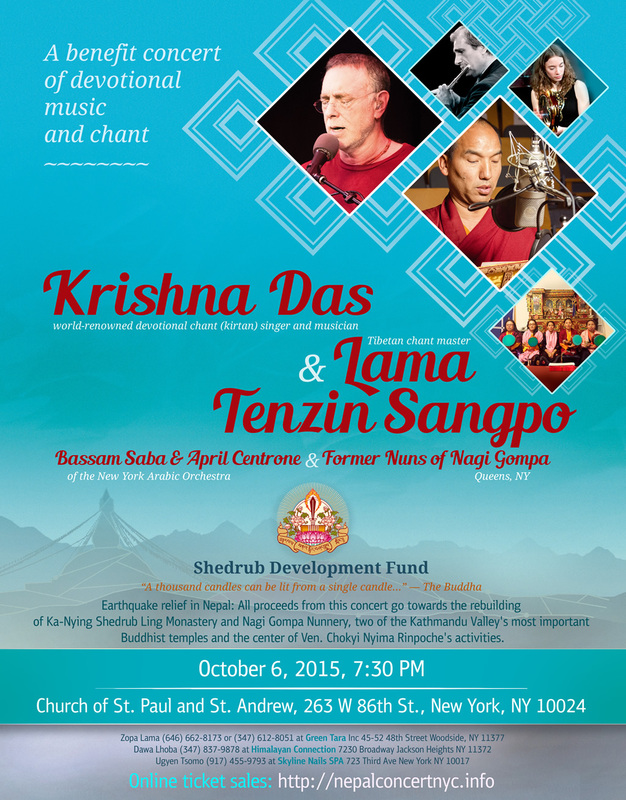 Also performing will be Bassam Saba & April Centrone of the New York Arabic Orchestra, and former nuns of Nagi Gompa. Download and share printable PDF flyer here.